Metallurgical Corp. of China Ltd., the contractor building the world’s largest magnetite iron ore mine for Citic Pacific Ltd. (267) in Australia, said it would contribute $858 million after construction costs blew out. Citic Pacific and Metallurgical, known as MCC, have been in dispute over delays and cost increases at Sino Iron, with Citic announcing last year a more than fourfold blowout to the budget to $8 billion. MCC said in a separate statement that the provision will result in a 3.1 billion yuan ($498 million) charge in its 2012 accounts, contributing to a 7.2 billion yuan annual loss. “The nature of most large-scale projects usually results in certain claims by both the contractor and his employer and these are typically resolved at the completion of the project,” Citic Pacific said in its statement. The first line at Sino Iron is now producing iron ore concentrate, with the first shipment expected next month, Citic Pacific said. The company aims to complete line two by May. Output was originally slated to begin in the first half of 2011, shipping to steel mills in China. Citic Pacific blamed difficulties in planning, construction and transportation for the increase in costs and delays. Citic Pacific, controlled by China’s biggest state-owned investment company, rose 2.6 percent to HK$12.84 yesterday, trimming its loss in the past 12 months to 12 percent. MCC fell 1.1 percent, for a decline of 4.4 percent in the past year. Australian mining magnate Clive Palmer sold the rights to the project to Citic Pacific in 2007 for $200 million. Palmer, who is also developing coal assets in Australia, stands to receive monthly royalty payments from the operation. That relationship has since soured, with Citic Pacific last year winning an injunction to stop Palmer’s Mineralogy Pty Ltd. from terminating mining right and site lease agreements. A court hearing is expected to take place this year. “We have confidentiality agreements in place and are unable to mention the number of interested parties,” she said. Studies on the Frieda River project have identified a potential operation with an estimated capital cost of US$5.6 billion, according to Xstrata’s feasibility study and 2012 study programme report. According to the spokesperson, the project has an estimated annual production profile of 204,000 tonnes copper and 305,000 ounces of gold, over a 20-year mine life. “The Frieda River Project is owned in joint venture by Xstrata Frieda River (81.82%) and Highlands Pacific (18.18%),” she said. 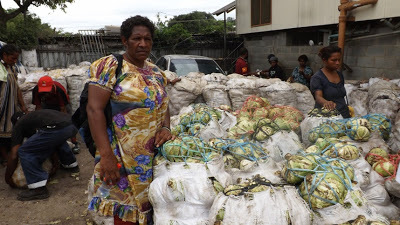 “We delivered our feasibility study and 2012 study programme report to our joint venture partner (Highlands Pacific) last month (December 2012). “The extended 2012 study outlines a project with an estimated initial capital requirement of US$5.6 billion, with a 20‐year open pit mine life capable of producing on average an estimated 304,000 tonnes copper and 451,000 ounces of gold in its first five years. “A decision has not yet been taken to start mining at the Frieda River project and in 2013 we will progress further technical studies associated to infrastructure for the potential mine. “At this stage we do not have an expected date for the project to start production. However once construction commences the proposed construction period is approximately four and a half years. “This year (2013), we are conducting additional infrastructure studies, including a study programme focused on more efficient waste management and associated infrastructure that could potentially reduce the initial capital to US$5 billion. Papua New Guinea is an investment opportunity often overlooked by emerging market bulls. What do they commonly look for? High growth, steady government, abundant resources. The economy of PNG is steady and growing quickly on the strength of the agriculture, mining, and oil/gas industries. The country is one of the worlds most unexplored and this thought to still be home to numerous undocumented plants, animals, insects, tribes, and languages. This underdeveloped economy is ready for growth and appears surprisingly open to foreign investment. Like every nation on Earth, there are problems (which I will outline), but what makes investment in PNG special is the how surprisingly overlooked and underdeveloped the country and economy is despite the vast natural resources and economic and political stability. PNG’s GDP was 16.9 Billion in 2011, a growth of 8.9% (12th in the word according to the CIA) from 7.8 and 6.1 percent in 2010 and 2009 respectively. The Debt-to-GDP is a surprisingly low 22.9%. The government is pro-investment in a country that has good reason to want to protect its incredible wealth of natural resources. ExxonMobil recently led an approved 16 billion dollar liquefied natural gas deal. Chinese investment is “just beginning” according to The Australian, yet state-owned Chinese firms have already broken ground in numerous mining projects including the 1.4$ Billion dollar Ramu nickel project. Malaysian logging companies export to China. Canadian company Talisman Energy is making bets on PNG. The Industrial Production Growth Rate, as measured by the CIA World Factbook, was 10% in 2011. The country is open to development and GDP growth is already excellent. Sri Lanka is the other country besides PNG revised up 1% from previous projections. PNG was revised up 2.2%. PNG is neighbors with the Philippines, Japan, Malaysia, and Indonesia (whom PNG shares its sole land border with). Long-term support in trade, defense, and diplomacy is near-guaranteed from neighbors and fellow Commonwealth members Australia and New Zealand. 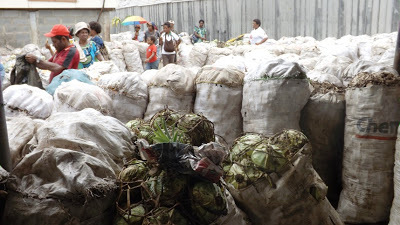 Apmple trade can be expected from all neighbors as well as Russia, India, China. It is clear that Papua New Guinea is well positioned to benefit from rising number of accessible creditors and trading partners in Asia. The country is known to many mining investors and has huge proven oil and natural gas patches. Papua New Guinea is also still largely unexplored with oil and gas in mind, and more opportunities are surely undiscovered. 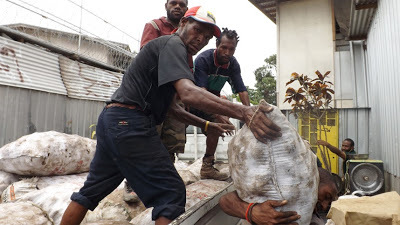 PNG also has one of the largest remaining tuna stocks in the world, and is an exporter of crayfish and prawns. Most of PNG is covered in dense rainforest that ranks as the world’s third largest. This is extremely fertile land. The agriculture sector is unsurprisingly subsistence based, and more than most, but we can see this as an opportunity to introduce advanced farming equipment and techniques. 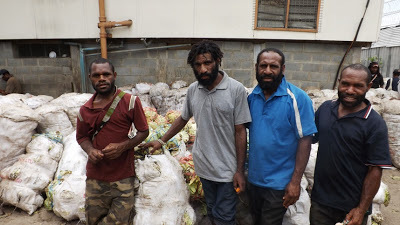 The agriculture sector is trending up and the citizens of PNG are set to benefit from their knowledge and expertise; according to the CIA, 85% of the working population works in agriculture. The country is one of the few remaining commonwealth realms with considerable land mass alongside Canada, Australia, and New Zealand. One could point to this as a stamp of stability. It is important to note that PNG consists of almost a thousand languages and many ethnic groups. The government is a great unifying element the people need to lead Papua World Guinea into the world economy. Currently 97% of PNG land is on ‘protected reserves’ of hundreds of fragmented tribal communities, but this is changing. The hundreds or thousands of languages and ethnic groups in PNG are rapidly disappearing. People are moving to cities. The tribal land system is written in the PNG constitution, and some foreigners have become entagled in land disputes. The tribal land system, for good or bad, is showing signs of break down or compromise. According to Greenpeace, land is being signed over to investors with relative ease on 99 year leases. Offshore concessions are accessible. High crime rates land the capital city Port Moresby the 139th out of 140 most “unlivable cities” according to The Economist. The government isn’t spending a whole lot of money on infrastructure or relieving social ills, which is good or bad depending on the school of economics you adhere to. PNG is actually paying off its defecits. After a period of sustained foreign investment the improved infrastructure, job opportunities , and standard of living should substantially lower crime rates. Should a stable emerging market be in leagues with the countries below? Although inflation was 8.4% in 2011, The World Bank suggested in a report on PNG the same year that “PNG’s inflation has shifted to being domestically-driven, caused by capacity constraints in the face of the large increases in demand, in contrast with the historical pattern of inflation outbreaks being due to rising import prices.” The nation’s currency, the Kina, is also making a consistent and notable rise in value against the American dollar. PNG is home to possibly the most rural population in Asia (at 82%) and as more people move to cities there is a need for residential housing, grocery stores, and other service sector opportunities. In energy we can get direct exposure from InterOil (IOC). PT Telekomunikasi Indonesia (TLK) is taking stakes in firms outside Indonesia, and could have good reason invest in its land neighbor. Mining access on the public markets include Australia-based firms like Highlands Pacfic, Peabody Energy Australia, and international firms Papua Mining PLC and Papuan Precious Metals Corp. ExxonMobil (XOM), Talisman Energy (TLM), and Xstrata also have natural gas rights in PNG. New Guinea Energy is more direct. The Papua New Guinean Kina (PGK) could be an option as well, and has made consistent gains against the US dollar (42% over 5 years). 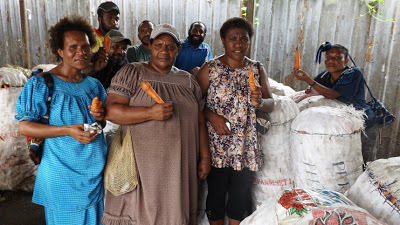 Apart from thekaukau growers and traders, there are also those involved in vegetables. A large landslide has occurred at the new Komo airfield in Papua New Guinea’s Hela province. An estimated 5,000 to 7,000 cubic metres of earth material slipped from an area of the airfield under construction earlier this month. The airfield, which is nearing completion, is one of the major infrastructure developments linked to Exxon Mobil’s large Liquefied Natural Gas project in PNG. The area, in the resource-rich Highlands region, experiences a large amount of rainfall around this time of year. The landslide occurred near the site of a massive landslide in Tumbi that buried a village and killed at least 25 people in January last year. The Tumbi landslide was linked by some local communities in Hela to a nearby quarry used for the LNG Project although Exxon and its project partners deny that the quarry operations caused the landslide. AIM-listed gold exploration company Triple Plate Junction has unveiled an update on its Papua New Guinea project prompting a sharp fall in its shares. The company announced that Newmont Ventures, a subsidiary of Newmont Mining Corporation, would not be allocating a development budget to the joint venture’s Morobe project in Papua New Guinea for 2013. The company announced that Newmont had decided to terminate its search for large bulk tonnage gold/copper porphyry systems at the JV property, and that Newmont was in the process of exploring its options in consultation with Triple Plate Junction. Triple Plate Junction stated that following its own exploration and that conducted by Newmont on behalf of the JV, it had identified “a very significant amount of related data” which Triple Plate Junction was evaluating in order to determine whether there were areas within the JV territory which could be appropriate and suitable for Triple Plate Junction. The group said that it had found areas containing high-grade targets that Newmont had discounted as too small for their requirements but which could be of “great interest” to the company to develop. It stated that it had engaged the services of an experienced team of geologists to commence the process of reviewing project data and added thart the anticipated report would be delivered by the end of February 2013. The company stated that it is also in discussions with Barrick Gold Corporation about their future intentions for the joint venture at Wamum, where it said that exploration work over the last two years had been “very limited”. Triple Plate Junction’s share price was down 12% to 0.55p at 09:52 on Friday morning. I am flying at an altitude of 39,000 ft. while thinking of the ocean’s depths, those dark places some of us first saw in rare and beautiful documentaries which introduced us to Jacques Cousteau and the amazing creatures and marine life we have learned to love and cherish throughout the world. Some of us have even been fortunate enough to enjoy the oceans depths firsthand, to gaze at the corals, while surrounded by curious schools of fish and slithering eels. Some of the habitats which continue to astound marine biologists are those created by the hot eruptions from volcanic springs where life exists at extremely high temperatures. Among the discoveries made in researching the volcanic springs or smokers was the fact that the sulfurous mountains which formed from the eruptions created massive deposits of minerals. Highly concentrated amounts of heavy metals such as gold, silver and copper accumulate in these mountains created as a result of the hot water reacting to the freezing ocean. These depths, still alien in many aspects are the new focus of mining companies throughout the world. Modern mining practices rarely resemble the idea most of us have about the industry. Long gone are the days when you could mine for gold with a pick axe, most known mines around the world have been depleted of the ore which was readily available to be mined in this way. Nowadays, most heavy metal deposits which still exist in the ground are minuscule in comparison. Thus the method to extract the gold, or silver is a chemical process which occurs after moving tons of dirt and rocks which must be ground and then submitted to a chemical wash whose main ingredient is cyanide plus millions of gallons of fresh water to obtain a single ounce of gold, this is known as cyanide leaching. The byproduct of this process is a toxic sludge containing arsenic, mercury, cadmium and lead among other toxic substances, known as tailings. These mine tailings are usually deposited in mounds in proximity to the mines posing a hazard to soil and groundwater beneath the surface. So how does this mining translate to the depths of the ocean, the sea bed, how would the removal of tons of rock and the elimination of mountains of minerals existing on the ocean floor affect the marine life, or the surrounding habitats or the ocean’s crust? What would cyanide leaching look like in the ocean? What would happen with the tailings from the mines? The truth is that the school is still out on these and many other questions, albeit officially. Because, if we merely observe what mining practices have brought to communities from Cajamarca (Peru), Peñoles (Mexico) to Nevada (USA) the record is clear. The history of water depletion, toxic heavy metal pollution and the health consequences that go along with it are common place in most mining towns. The only palpable results are moonscapes made up of massive craters which can be up to a mile deep and more than two miles wide. The dubious benefits proposed by mining projects are always undercut by the hidden economic impacts and costs for the environment. Communities throughout the world have been voicing their opposition to previous and future mining projects for years; litigation has challenged laws, permits and decrees both nationally and internationally with varying degrees of success. Some such opposition has already begun in regard to one of the first sea bed mining projects in Papua New Guinea, Nautilus Minerals Inc. a Canadian company was granted a 20 year permit to extract ore which is said to contain high concentrations of gold and copper 30 miles off the coast beneath the Bismarck Sea. In this case we are dealing with a domestic permit with a nation to answer for the possible implications of this mine project. But what will occur with the mining claims held in international waters? Who will be held accountable and responsible for possible negative impacts and outcomes? Enter the International Seabed Authority, created as a part of the United Nations Convention on the Law of the Sea (UNCLOS), this international agency is charged with implementing the convention and regulating mineral activity on the seabed, ocean floor and subsoil in international waters. The Legal and Technical Commission (made up of 25 members elected by the ISA council) reviews applications for exploration and mining projects, while also assessing and supervising operations and environmental impacts, final approval is granted by the 36 member ISA council. Some countries currently holding contracts for exclusive rights for exploration are China, Russia, South Korea, France, Japan and India; areas explored are up to 150,000 square kilometers in size. Is ISA equipped to deal with the growing demand in seabed mining, will it be capable of regulating and supervising the increasing number of projects? What is the level of accountability and transparency of this international agency that is charged with protecting most of the earth’s oceans? We could use the BP oil disaster as an indicator of the challenges faced by a large well funded regulatory agency to oversea national waters in the U.S. What chance does a small agency such as ISA have to deal with these and future challenges? Yet another issue is the fact that the U.S. has not ratified the UN Convention on the Law of the Sea (164 nations have ratified the convention), while some think that the U.S. does not need to be a party to the treaty to initiate seabed mining operations others disagree wholeheartedly. If we are to question or challenge proper implementation of oversight and environmental standards to avoid damaging the oceans depths, we will have to be a part of the discussion. When we are not willing to abide by the same level of scrutiny internationally we lose credibility and good will. So while we are aware that deep sea drilling is a hazardous business, we must concern ourselves with deep sea mining because we have yet to grasp the magnitude of its impacts. * Carla García Zendejas is a recognized environmental attorney from Tijuana, Mexico. Her knowledge and perspective derives from her extensive work for international and national organizations on social, economic and environmental issues. In the past fifteen years she has achieved numerous successes in cases involving energy infrastructure, water pollution, environmental justice and development of government transparency laws. She has empowered activists with critical knowledge to fight environmentally damaging and potentially hazardous liquefied natural gas terminals on the Baja California peninsula, the U.S. and in Spain. Carla holds a Masters in Law from the Washington College of Law at American University. She currently serves as the Senior Program Officer for Human Rights & Extractive Industries at the Due Process of Law Foundation a non-profit organization based in Washington, D.C.